This interview was conducted by Clayton S. Griffin on October 14, 2009 in San Antonio, TX. as part of Palo Alto College’s History 1302 – Fall 2009 class. Mario Sergio Torres was born January 16, 1944 to Pablo and Maria De La Paz in Guadalajara , Mexico . 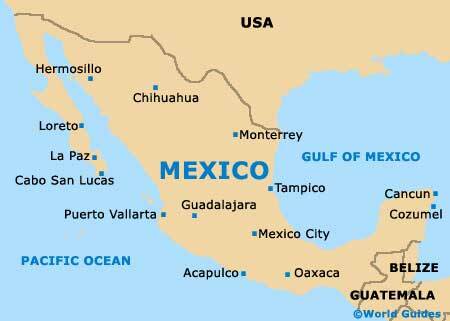 Other than Guadalajara, Mario has also lived in Monterey, Harlingen, and San Antonio. Mario married his wife Rebecca of forty two years in San Antonio in 1967. Mario joined the Navy in 1967 and served for four years during the Viet Nam war, 1967-1971. Mario and Rebecca have two children. Mario earned a Masters degree in Political Science from St. Mary’s University in San Antonio in 1971. He has been a teacher most of his life, teaching high school at Harlandale High School for 26 years, and now teaches government at Palo Alto College . When questioned, Mr. Torres did not claim to be part of a specific political group but instead stated he usually votes Democrat. He did claim Catholicism when asked about religious affiliation. Mario enjoys music and travel. He has visited many countries and cultures and plans on more travel in the future. I met Mr Torres two weeks ago. He is my U.S. Government teacher. You were born in Guadalajara, Mexico and twenty years later you were in the United States Navy, how did you manage to get from Guadalajara to the U.S. Navy? First at around 1949 I guess when I was about five years old, my mother, who was a single parent, my parents were obviously separated. And so she with my other brother went over to Monterey, Mexico which is probably one of the springboard or stopping points on the journey north. And so it was in Monterey , after a while, it so happened we crossed into, illegally, and crossed over into the United States and lived in Harlingen. In Harlingen there was a trucker, I guess, who would take migrant workers to work the fields in Ohio picking tomato and carrots and other crops, and so we went there. But since the trucker was based in San Antonio we stopped in northern Texas where we picked cotton and ended up back in San Antonio, in the barrios in the west side of San Antonio. And that is where I ended up here. How old were you when you quit doing migrant labor? I guess I must have been twelve or thirteen, in that vicinity. What did you do for elementary school? First of all in Mexico I went as far as fourth or fifth grade. When I came over here I was placed in third or second grade or whatever it was. But because I didn’t have knowledge of the language, they put me back to first, and then proceeded. When we got back from the crops in Ohio and all that, I went to David Barkley and Hillcrest elementary. I ended up going to Cooper middle and Brack high school. So that’s what happened, so you would say I was in my upper levels of middle school after the migrant experience. So what was it like traveling around doing migrant work? Of course we lived in the owner’s, rancher or farmer’s own housing he had for the migrant workers, so we were living in one or two room apartments on the site of where the crops were to be picked. So that’s basically that, yeah I remember that’s what it was. Did the wages seem fair for what you were doing? I don’t think at that time I was really aware of what we were paid or what we weren’t paid, but as with everything else, migrant work has always been very ill paid. It was not until the movement of Cesar Chavez, the movement of the migrant workers, that things began to improve somewhat, I don’t know if things have improved all that much. So you settled down in San Antonio , did your mother get a job here, or your brother get a job here? No my brother was about three years younger than I was. My mother worked as a seamstress in a factory on South Flores downtown San Antonio. You were married and joined the Navy in the same year, what was the logic behind that? The logic behind it was that by the time I joined the Navy which was in January of ’67, by that time I went to boot camp and more or less realized the lack of, or senselessness of just running around. I guess it was the yearning to start a home life, get settled, and not just out gallivanting from club to club doing crazy things. I guess for settling down….the fact that I would eventually be in the Viet Nam war doing two western Pacific tours aboard an aircraft carrier, was not a consideration… What was a consideration was I wanted to get away from this bachelor crazy life and be more settled. What did your new wife think of your choice to join the Navy during that time? I don’t think there was a choice there. We were living in the time of the draft and even though I may have had a college deferment, at that time it really didn’t matter. The thing is, I received the induction notice. I had to join, whether I wanted it or didn’t want it or was in the middle of my college education that didn’t matter. I had to, I was told I had to go, so by that time, late in high school around 62, by that time I had already become a citizen, a naturalized citizen and the draft was around. So it wasn’t a matter of me wanting to join, it was a matter of them wanting me to get in, so that is the way it happened, it wasn’t a choice. So you got naturalized as a citizen just in time to go to war? Imagine! The craziness! No I think I became naturalized because obviously I was one of the top students at the high school and there were all types of scholarships and you had to be a U.S citizen in order to qualify. Eventually, I became a citizen and maybe by that time all the paperwork was done so I missed it. I don’t think I got any scholarship per se but that is why I started at SAC ( San Antonio College ). Was there any specific reason you joined the Navy over the other branches? I guess I first tried the Air Force and they didn’t have any space or room and the next best place was the Navy. In other words I didn’t see myself shooting or being shot at, so there it is. How did the expectations of Navy life compare with the realities of Navy life? I don’t think I had any real knowledge of what I was getting into, so I didn’t have any much expectation about it. Except to say, it got old after a while. After the four years. And so there it is I didn’t reenlist and I wanted out and I talked to my dental hygienist who was in the Air Force who also got out because of the disenchantment of the Air Force. And one of the disenchantments I had with the service is here we have the enlisted man or what we call the petty officers or noncommissioned officers and those fellows have been in the service for 15 – 20 years and they knew the ropes, they knew the jobs, they knew the requirements, they were very familiar with everything that needed to be done. Yet what I resented the most was a junior lieutenant coming fresh out of the Naval Academy, here comes this young dude, what I would call a squirrel, and he would come in and someway, somehow he would have the right answers and so the experience of the NCOs, I guess you could call them, the petty officers, was not really that relevant or important. I kind of resented it; I didn’t think that was right. So life of the enlisted man was probably for the birds. Good bye. What was your job in the Navy? As an aviation store keeper, I was in supply. You were in the service in the height of the Vietnam war, did you ever got to Vietnam? Where did you go in theater? We went to the Tonkin Gulf, which is the main body of water in which the Navy used to operate. What was mission of the aircraft carrier you were on while you were over there? …For air support, it also had attack planes but ours was mostly fighter jets the F-8s, I don’t know what they have now, the F-4s? To me the fighter jet was there as protection for any MIGs or any foreign or enemy aircraft intercepting our own attack planes so we had A-7 attack planes that took off and landed from the air craft carrier. What are your most vivid memories of the time you spent in the Navy? Here’s a good one, I think the most vivid memories was when I served as the shore patrol. And the best one was my tour as a shore patrol in Hong Kong , going to all the bars one after the next. That was fun, or when I was on duty as shore patrol in the Philippines and all I did was stand in the corner outside of the downtown area. We used to dock in Subic Bay and so the little Philippine town was named Along Apo . So I was in Along Apo, in a corner, I don’t know what I was doing there, just looking out for fellow stray sailors and that was probably the most vivid memories; and of course the opportunity to travel and visit Honolulu, Waikiki, to go to Japan, Sasabeau and Yokosuka. So the travel aspects and the shore patrol aspects were probably the most interesting angle of it and another angle of it was the idea that here we were in the Navy and even though here I was in the Navy and we were at war and we were in the Vietnam war and yet at the same time I was anti (war). I don’t know if you, I am sure you have fellows that are in now that are not that sold on the mission or not sold on what the hell we are doing there……I used to read the Stars and Stripes, which is the newspaper we used to get, and I used to keep up with politics and the like. So that was interesting, I was in a war which I really was against the war. Go figure, yet I ended up with an honorable discharge, because I did my job and that’s it………Another vivid memory that I will never forget is how difficult it was, you know to be with a wife, to have kids or a kid, or just simply my wife and me and trying to survive, damn it, what we were paid was not adequate, there was no way that you could support a wife, even with a basic allowance for quarters and even with a stipend for meals it was difficult. I remember being at North Island Naval Air Station in San Diego and we would get box lunches because I was out there by the landing strip, or by the hangars. Anyway, we used to get lunch in boxes and I remember not eating the entire lunch box and taking the rest of it home to share, it was difficult! I’m telling you, here you were in San Diego California , you have Sea World, you have Hollywood , you had all this other entertainment and things like that, and yet on the Navy pay you couldn’t afford any of that jazz. It was pretty good, the only thing we could afford was go to the Mexican border to go to Tijuana and that’s where we used get our kicks, we could afford to go to a restaurant, we could afford to go to a movie, a variety show and just general shopping, but beyond that, being in the Navy and what we got paid was atrocious. No Lie! Talk about a vivid memory there. They didn’t treat us well. Was it as bad as migrant labor? Worse than migrant labor, at least in migrant labor you’re free, here you’re theirs! What’s the biggest misrepresentation about life in the service during the war? I guess if it could be such, that not just because we were in the Vietnam War that doesn’t make us in to drugs. They often portray our soldiers and our people as being really hooked on drugs while they were there. I mean, for me, it was possible not to even be tempted to using drugs, not even marijuana, not even nothing. So I do believe the drug situation is really overplayed and of course things have changed a lot. And I resent that a great deal and that is that when you came from Vietnam you were as unpopular as a pest or a dreaded disease, and so we didn’t come home as heroes or victors or people to be celebrated but on the contrary, we were looked down upon and we weren’t really accepted and that is what I resent insofar as what happens today. Today people you know who go over there receive all types of assistance and help and they have all kinds of discounts and promotions and they are played up and things of that nature. We didn’t have that then. I mean we were very unpopular, people didn’t like us. To me that would be one of the aspects of the misrepresentation and I think the movies are very accurate at describing the horrors of war and how unpopular that war was in our society and I think it is due to that unpopularity that those of us who were linked to it were not really appreciated. Did you make a lot of friends while you were in the navy? Yeah usually your friends were those who were those who were in the same Squadron as you were in. and normally being of Latino or Hispanic or Mexican American usually we tended to draw closer to each other or we would interact more with people who were like us than otherwise, not that there was overt discrimination or they didn’t like us, no no no no it was just a natural tendency, it is like the saying goes, birds of a feather flock together, so there it is. Do you know what any of your friends are doing now? No, we lost touch for some reason or another, you now the passage of time has scattered everybody around and no, we don’t keep track of each other except for one, my friend in Tucson , Arizona . He was in another carrier but we happened to hit it off and be good buddies and he and his wife became God parents to one of our children, but beyond him the rest of them are just in San Antonio Texas, California, you name it, even the Philippines. The Filipinos used to also hang around with us. The 60s were not only known for the war but also civil rights. As a microcosm of the U.S population did you see any racism or discrimination while you were in the United States Navy? No, none at all, I can’t remember an instance of racism or, maybe that was one of the virtues of being in the service, that there was a general equality among those of us who were in there. There was no class distinctions or race or whatever, so that was neat. That was the neat part of it. Now you are a government teacher, did you follow politics before and after you were in the service? Mostly during and even before, I mean after all, I was majoring in political science and did well in government, and I also belonged to a political club at SAC while I was there. So I was already interested in politics and government, before the Navy and while in the Navy and of course after the Navy. Now it’s a lifetime vocation. What did you think about the ideology of the US commitment to go to war with Vietnam considering your roll in the war? Well it’s like this; we are in what’s called a bipolar world. You have the West which is primarily capitalist and, quote unquote, democratic and you have the eastern block countries led by the Soviet Union which were the communist block nations, so both of those groups would easily annihilate one another in a direct confrontation. So consequently wars like Vietnam were fought in which the main antagonist were not exactly fighting each other but rather indirectly at each others throats in another region of the world. So that’s the way I view the Vietnam war, as part of the craziness of the Cold War and the so called ‘domino theory’, so that if Vietnam falls, then Laos falls followed by Cambodia, like a falling dominos, so therefore what the United States needs to do is stand up to communists in Vietnam in hopes that they can be defeated and prevent this domino effect. That was the ideology there but it was a war that was fought simply as a way of preventing, quote unquote, southeast Asia from falling under the communists, that was the ideology but someway, somehow the idea of fighting the war was not very well communicated, as always, to the people and the American public, they have a certain way of looking at war. At first they may be very gung ho, and, ‘lets get those guys’ but then the experience has been that once a war begins to drag, and once the casualties begin to come home, support for the war erodes to the point that a war, whatever war it is; in other words the people of the United States want a war but they want a quick resolution to that war and they don’t like wars that drag on forever and ever, they don’t see any sense in them and so there’s no appetite for a prolonged situation and so that’s reason why it became unpopular and so on. So Vietnam was that kind of a war and of course at the end the Viet Cong and the North Vietnamese communist were victorious over those who we were sponsoring and propping up, namely the South Vietnamese, so the united states had no alternative but to just leave after there were efforts to Vietnamize the war. In other words, it’s just like Iraq, let the locals, let the Iraqi people be more responsible for their own defense, so that’s what was done over there but it didn’t work out and so the communist forces were victorious, so we had to leave there very quickly. So that was considered a defeat and prior to Vietnam the thought was that we are never, that the United States had never been defeated at war, but without a doubt, the war in Vietnam was a defeat, no two ways about it. Is there a correlation between the Vietnam war and the Iraq war? Well yes, because the same thing holds true, of course there’s many differences. For one thing, the enemy is different. We were fighting the communists per se; in Iraq we were fighting the fundamentalist Islamic revolution or Al Qaida and its cohorts so it seems like the United States or any great power out of necessity an external enemy, by which it can use as a pretext for supporting certain industries in the country, namely what Eisenhower called the military industrial complex. So look, once the Soviet Union disintegrated and the Berlin Wall came down and communism per se collapsed, then obviously that need or that urgency to replace the communist for another enemy. Like, you know, for instance in WW II we were fighting against the Fascists and the Nazis and Hitler and all that bologna so that was a convenient thing to rally people around and then of course came the communist and after the communist now are these other dudes. There will always be something like that, so there are parallels and, of course, the Iraq War came as unpopular as the Vietnam War and now Afghanistan has a clear majority of the population says it ain’t worth it, that we should leave the place. So there are parallels. How has your experiences in the Navy changed your perspective on life? I don’t think anything really changed, it just probably solidified what were the impressions then. That you know the idea we must ….it is very nice to say like in the John Kennedy address that, ‘we will beat any foe’, and you know all of it, ‘for the defense of liberty and democracy’ and all that jazz, and then you become obsessed with that kind of thing and look at what it did to Lyndon Johnson. he could have easily won another term but he decided to….Vietnam was really his undoing. Did you experience in the Navy change your ideas of the role of the United States in foreign affairs? I think that the United States should not get itself involved in purely civil war situations. Often time the United Stated has been on the wrong side of history, they tend to support the power structure; dictators, just for the mere idea that they happen to be on our side and while that may be cool and they can get that kind of support from that kind of leader, in the long run they are going to suffer the consequences of having the population of that country being anti U.S.. A case in point is Iran . The United States supported the Shah of Iran and in that case the Shah of Iran was our boy and he was on our side and he allowed the foreign oil companies to take hold and he was anticommunist so we loved the guy and propped him up, but at the same time the Shah was also committing serious violations of human rights in Iran and so we installed that son of a gun after an overthrow the mosedec regime which was a popular elected government in their country and so all of that resentment culminated in the take over of the US embassy in Tehran. That was during the Carter years and, of course, it was not until the inauguration of Ronald Regan that those hostages were released and of course it didn’t help either that we were also arming and supplying all these weapons to Saddam Hussein, who in turn, used those weapons in its war against Iran and so all of these resentments culminated in the take over of the embassy and also what is happening now in this anti US and anti American feelings, all of them have historical roots. And so again you know the policies of the Roosevelt, Wilson, the diplomacy in Latin America and all of those things left an impression of the United States as a bully that ought not to be trusted, and so it created a great deal of anti US resentment in that area and all of that, of course, and we perhaps are living in the consequence of it, that the Left in Latin America is gaining more of a foothold in places like Brazil, Uruguay, Ecuador, Venezuela definitely and Nicaragua to name a few. So the idea is that often times we are associated with dictators and the wrong side of history and we also immerse ourselves in situations that really are like a family quarrel and here we come and take sides in a family quarrel and that’s not cool. It gets us into trouble. How did you feel about the protests during the Vietnam war? I think they were exercising their constitutional rights to protest, to assemble, free speech and address of grievances and so protest and dissent is essential if we are to have a democratic society. So in other words dissent and protesting were a good thing. No, it’s like the troops are there to perform a mission. And but their mission is defined by the powers that be, by the leadership of the country, by the President and his team of national security advisors, so they were just doing what their job is to do. It’s like this. It’s like when I travel, it’s possible to make a distinction. When I travel abroad, wherever I go, there is always this anti-American feelings, whether it’s in Greece, in Italy, in Bulgaria, it doesn’t matter where we are. But these foreigners that I visit with in various countries can make a distinction between the U.S. government and its people. And it’s vital that a distinction be made. And just because we live here in this country it does not mean we are in support of what President Bush is doing, or what President Obama is doing what whoever else is doing. That is not right, because what if we as an American tourist and we voted against the incumbent President and what if, we disagree totally with the policies of the government in relation to a problem? So, my hope is that there is and should and do make a distinction between, ‘we the people’, and our government. There are considerable numbers of Vietnam era vets who are homeless or struggling. You are a world traveler with an advanced degree from St Mary’s university, why do you believe you have done so well when other veterans of the era have done so poorly? Maybe unfortunately a lot of these veterans came back with severe psychological problems. It’s as if when they came back they were unable to cope. And of course to some degree, not in every case, they came back with serious vices, serious drug addiction and the like, and of course their experiences on the field, dying and seeing their comrades die and the massive destruction and so on. Everything they lived obviously impacted their lives to the point that when they got over here to our society they were really incapable of coping and a lot of them have died, yes. A lot of them have died. The most important lesson is obviously that the United State should not intervene in what would be, as a whole, a civil war. It’s just like we wouldn’t appreciate the French or anyone else messing around with us when we had our own civil war; likewise. Is there anything we have not covered you want to add to the interview? Frankly no, we’re just pleased that we’ve had the experience we’ve had and that we’ve done what we could, and that’s all. I do envy people, like you perhaps, that you know, you came back and you were well regarded. HELLO! Unlike, you know, some of my friends did experience the feeling that they were unwanted simply because they were associated with that war as unpopular as it was. So there are instances in which that happened. But it’s totally changed now and it’s the exact opposite and these folks that come back from Iraq and Afghanistan on the whole, I am sure there are exceptions, they are well treated and well regarded. I learned a great deal during this oral history project. Most importantly, I learned there are many great stories of human triumph all around us if we just ask. This interview is a perfect example. I had no idea who Mario Torres was before this interview. He was just another college professor who mentioned in passing he had been enlisted during the Viet Nam war. Through the interview a very impressive story emerged about a boy living in Mexico with a little brother and a single mother during the 1950s; a story about the family moving illegally into the United States to do migrant labor in order to make a living. Listening to this biography it was hard to believe it was coming from the mouth of a man that had an advanced degree from a highly renowned private university. I also found out things about the Viet Nam war I did not know before. I didn’t know you could be drafted if you had a college deferment. I was also surprised to find out that the United States military was free from racism in the 1960s. The most surprising thing I found out was exactly how poorly the enlistees were paid during the Viet Nam Era. The hardship to be forced to serve and paid wages that would keep you in poverty seems un-American these days. Mr. Torres has an interesting perspective on the subject because of his past. He can compare his experiences in the Navy to his time doing migrant labor. When he says being in the Navy was worse than migrant labor a bystander like me has to take notice! I believe conducting oral histories is a good way to learn about the past, mostly because it puts a human face on it. A book or even a teacher can not bring history to life like a person that was there does. I may never remember one word about the Viet Nam war I read in a history book, but I will always remember the stories Mr. Torres shared with me. The only drawback I see with an oral history is the possibility for someone to hold certain things back in order to save face for family or friends. 1968, Jun 29 – First son born Mario Torres Jr.
USS Oriskany: Memories of Viet Nam. Website created by Larry Mathews compiling data about the USS Oriskany. Global Security Information. Extensive website dedicated to all issues concering security around the world. Copyright © 2000-2009 GlobalSecurity.org All rights reserved. Photographs and/or documents on this website were provided by Mario Torres The first photo was taken on the flight deck of the U.S.S Oriskany. Mr Torres is receiving the “Sailor of the Month” award. The final photo is Mr. Torres and me in a break room in Palo Alto College. Publication in the Texas Observer- November 27, 2009. Note: The following narratives were written by Texas veterans living with post-traumatic stress disorder (PTSD), a condition that affects a growing number of soldiers returning from Iraq and Afghanistan. As part of their recovery process, they are writing about their lives and combat experiences as part of the Veterans Writing Project. Our special thanks to Ben Snyder, an Austin playwright who mentors the veterans, for his editing assistance. When I was born in Texarkana in October 1975, the country was still reeling from losing 50,000 of its best and brightest to the most unpopular war in American history. Who would have ever imagined that only 30 years later the same country would send this baby boy to Asia to fight another war? But they did and that is my story. Growing up in and around Texarkana was just like any other place, I guess. Visiting family when we got the chance, making fun of your little brother because that’s what your older brother did to you, worrying about everything but grades in high school and later wishing you had worried about grades more. By the time I did graduate from high school, I decided to take some time off from school. After a string of minimum-wage jobs I knew I wanted more, but I didn’t want to take out a huge loan for college, so I enlisted in the Air Force. In 10 short years [beginning in 1997], I deployed five times, twice to Saudi Arabia. My last mission was to Iraq [with the 101st Airborne], where I served as a convoy commander, completed over 65 combat patrols and experienced many combat engagements. I saw it all firsthand: mortars, bombs, firefights … everything. Upon returning from Iraq, Griffin began to suffer from PTSD. He experienced anxiety attacks while driving and while in public. Bouts of depression would come and go, seemingly inexplicably. Sometimes he couldn’t even force himself to move because it took too much energy. But the uncontrollable rage was what bothered him the most. Fortunately, it was never focused on any family members or close friends, but if someone did something Griffin didn’t like, or exhibited unusual mannerisms, adrenaline flowed through him with the force of Niagara Falls. He felt like he was losing control of himself. It took six months for me to seek help for my post-traumatic stress. The symptoms were completely debilitating: anxiety, depression, rage and paranoia. Ultimately these and other problems all led to several months of counseling, medication and a discharge from the military. There are some things everyone should know about combat-related PTSD. First of all, there is a lot of guilt associated with it. No matter what physical malady you endured, it is never enough to free you from the guilt that combat dishes out. Maybe the biggest factors that need to be addressed are shame and fear. Many times veterans have gone directly against the morals that they hold dear. We have looked inside our souls and seen what could be. We have seen the evil that a man is capable of, even within ourselves. We don’t want to share these things with our spouses, moms, dads, brothers or anyone because we are ashamed of what we see in ourselves. We are afraid our families may think of us as bad people. The stigma surrounding PTSD is also a deterrent to seeking help. This is why so many veterans keep it all inside them, and let it eat at them like a cancer. Seeking psychiatric help was the most difficult thing I ever did in my entire military career.